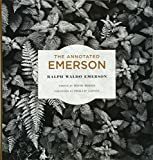 Ralph Waldo Emerson (1803–1882) was a philosopher, prolific lecturer and essayist, and a prime mover in the American Romantic and Transcendental Movement; he was a coeditor and ally of Margaret Fuller and Henry David Thoreau of The Dial. Having left the Unitarian ministry he spent most of his adult life in Concord, MA. David Mikics is John and Rebecca Moores Professor of English at the University of Houston and the author with Stephen Burt of The Art of the Sonnet. Philip Lopate is a professor at Columbia University where he directs the graduate nonfiction program; he is the author of Getting Personal and Waterfront.